To transform lives through high calibre life coaching, facilitating powerful breakthroughs, and helping clients become passionate about their life. To empower clients so they live their epic life. 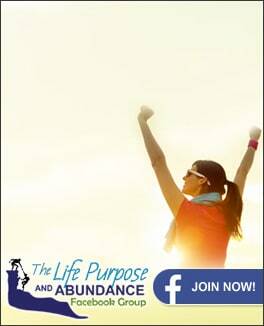 PASSION is the essence of an abundant life! We are passionate about life, coaching, and seeing people reach their fullest potential and living their best life. We partner with clients as they discover their passions and dreams and as they create effective action steps and plans. We provide resources for clients to help those dreams come true. OPTIMISM is having a refined mental style of how you choose to respond to life. When clients go through turmoil or face difficulties and set-backs, we help clients discover a new way of thinking about their life, and a new attitude that will help them move forward with great hope. PRESENCE is an instilled value in our coaching and mentoring approach. We create an inspiring environment that is focused on you moving forward. When we listen deeply, understand you and keep you accountable to your most important values and goals you are served well. We draw out the greatness that is already inside of you. We are in the moment with you and we are focused on getting you the results you need. LEADERSHIP requires a combination of character, talents and acquired skills. We are committed to developing leaders who have strong character, vision, integrity and courage. We help clients understand and refine their values, principles and leadership skills. EMPOWERING clients as they identify and face the fear that may be holding them back, and coaching them so they live their lives with increased faith, resilience, direction and joy. We coach clients to be empowered so they gain strength to take back control of their life.